Unfortunately, senior animals (usually grouped as 7 years and older) are often overlooked when people are searching for the perfect pet to bring home. However, adopting a senior pet has many benefits! 10. What you see is what you get. With an older cat, you already know their full-grown size, so there’s no guessing about how big they will get. 9. They are already housebroken. Senior cats are often already litter box trained and know how to behave in a home environment. 8. They require less time and energy. Kittens can require a lot more playtime and entertainment. Senior cats, on the other hand, often just want to cuddle with you. 7. Their personality is already developed, making it easier to know if they will fit in with your family. 6. They already have manners. Senior cats know things like how to use a scratching post, instead of your furniture, and that they should bite toys, not your hands or feet. 5. They are easier to train because they have longer attention spans. Kittens can get bored easily, making them more likely to get into mischief. 4. They make great napping buddies. Kittens want to play all the time, including at 3 am. Senior cats love to relax during the day and will also let you sleep through the night. 3. You will feel great about rescuing a wonderful pet that others might not want simply because of its age. Bringing a senior pet into your life can be an incredibly rewarding experience. 2. They still have a lot of love to give. Just because they may be older doesn’t mean they still don’t have a lot of companionship and love to give a family or person. Adoptions fees for senior cats, 7 years and older, are FREE at Foothills Animal Shelter during the month of August! The regular adoption process applies. Every adoption still includes spay or neuter surgery, vaccinations, a microchip and a free health exam. Does not apply to offsite partner locations. Please read the ad in its entirety and respond to the qualities and requirements described, including your fit as a candidate. Also, please also note the days/hours needed (see below). We are looking for a cheerful people-person with a solid work ethic: Someone who is attentive to detail and is highly organized; a person who works well independently (and virtually) and yet someone who enjoys being a strong team member; someone with strong leadership ability as well as the ability to multi-task; someone who develops positive collaborative relationships with staff members and clients. You work with tenacity and can anticipate as well as solve problems as they arise. If this statement describes you, then please read on…. It is imperative that you are reliable, work with integrity, and can willingly support our business organization with steady and accurate attention to detail. Return client/staff calls and deal with client/staff concerns or questions in a prompt and helpful manner. Be effective at working simultaneously with multiple virtual staff members and clients via phone to set up client/staff pet care reservations and initial interviews. Learn a software and billing system alongside owner and train new staff members via phone to use the online scheduling system. When given projects, responsibilities or assignments, you will be expected to take action with intelligence and thoroughness. Feel comfortable, confident and calm in dealing with any challenges that may arise. Give your ideas, ingenuity and know-how when you see that improvements can be made in order to create a more dynamic and efficient company. E-mail an orderly and efficient call log to business owner on Mondays by 12:30 p.m. detailing the calls that came in over the weekend, and at the end of each one of your shifts worked. Sign a noncompete and confidentiality agreement. A great working environment – your own home! A flexible schedule that can accommodate your schedule. Exciting opportunities to grow within a fast-growing company. Appreciation and gratitude for a job well done from the business owner and our human clients. Your ideas for creating greater ease and organization within the company will be taken seriously, and we will often implement them. Initially, this will be a part-time weekday position 3 days per week. Wednesday:: 9 a.m. -5 p.m.
You will perform the duties listed above during these times. You will work from YOUR home office, with your own high-speed Internet connection, using computer, email and phone. Strong, professional written and verbal communication skills are required, as well as solid computer skills (Word, Excel, data entry, online web applications, etc.). You must have a very quiet home environment from which to work. We prefer someone who lives within a 10 mile radius of Lakewood, Colorado. This is an exciting and flexible permanent P/T job that will grow with the right person. We would like to hire someone who has enough flexibility in his/her current work schedule to also work the occasional additional weekday shift as well as possible extended periods of time in the future. Please e-mail your resume to info@pawsitivepetsit.com and let us know in 50 words or less why you are the right person for the job. 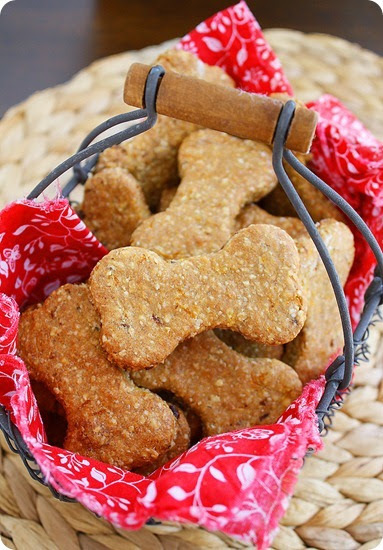 We Now Offer Natural, Holistic Pet Food & Supplies On Our Website! 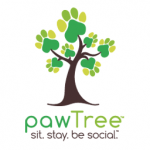 PawTree Natural, Holistic Pet Food & Supplies On Our Website! Everything from grain free pet food, dental sticks, holistic supplements to beds, collars, bowls & toys. Yes the holidays are approaching fast! Be sure to make your reservations early to ensure your furry family members are taken care of while you are away visiting friends and family or just away for the day! Vote For Us on Denver’s A-List -Get A Free Visit! We are so honored that we’ve been nominated once again for Best Petsitting on the Denver A-List! Voting is open NOW through March 6th. We truly appreciate all your support over the years and are so lucky to have such wonderful clients and furry friends that make each day a pleasure! As a thank you we are offering 1 Free Visit for each person that votes! If you haven’t voted yet, please honor and support us by clicking on the link below to vote and help us become #1. Vote for Us on Denver’s A List! Thank you for all your support, kind words and business. When you leave your pets in the care of a PAWSitive Petsitting Services pet sitter, you can travel with peace of mind. To make sure your pet sitter has all the necessities to take the best care of your pet, check off the items on this handy list before you leave home. Then, relax and enjoy the trip – knowing your companion animals are in good hands! 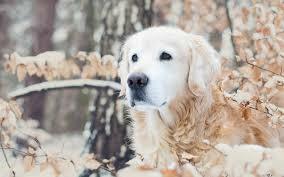 As the weather is still so cold, it is important to consider how seasonal changes affect your pets. The following tips will keep your pets safe when the temperature dips. • Keep pets inside as much as possible. Young pets, old pets and short-haired pets are more vulnerable to cold weather and should not be left outside unsupervised.